I didn't have as much time as I wish to create jewelry and accessories lately, but I did make a few things including these white earrings. 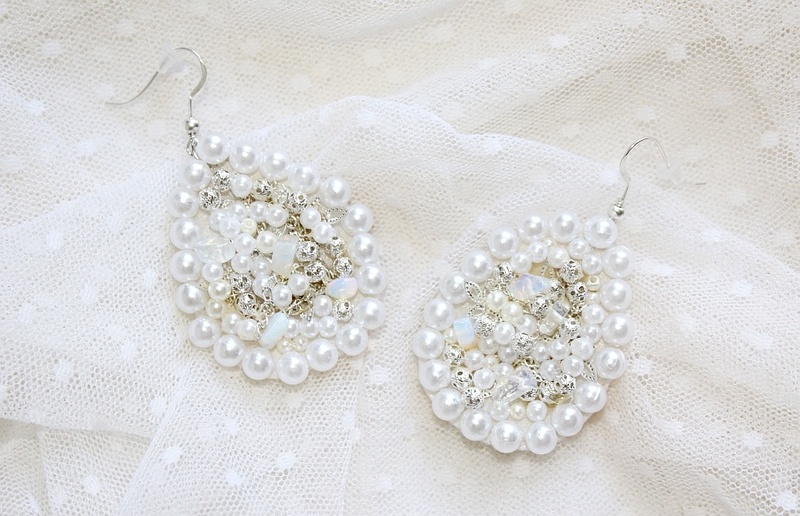 They are actually created with a bride in mind, but I think they can be worn by pretty much anybody. I used lace, white beads and silver details on a white base for a romantic end result. I hope you like them! Descriere: Cercei statement albi acoperiti cu margele albe, elemente metalice argintii si chipsuri de opalit. Au forma si spatele dublat cu dantela alba. Perfecti si pentru o mireasa romantica! Hello!!! I was just popping on over to say the hugest thank you to you for your lovely lovely words over on my little blog - thankyou!!! You have made my day!!!! 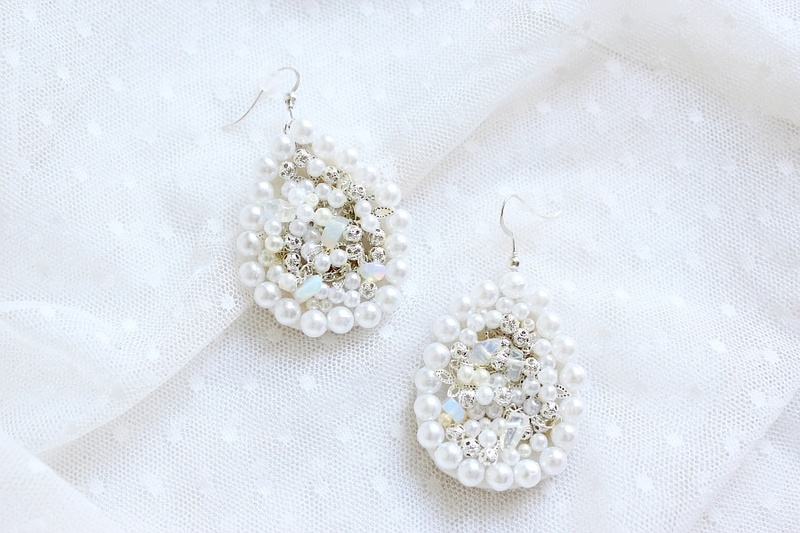 Love these earrings, so beautiful! love your creativity! I need your ideas for my new shop. 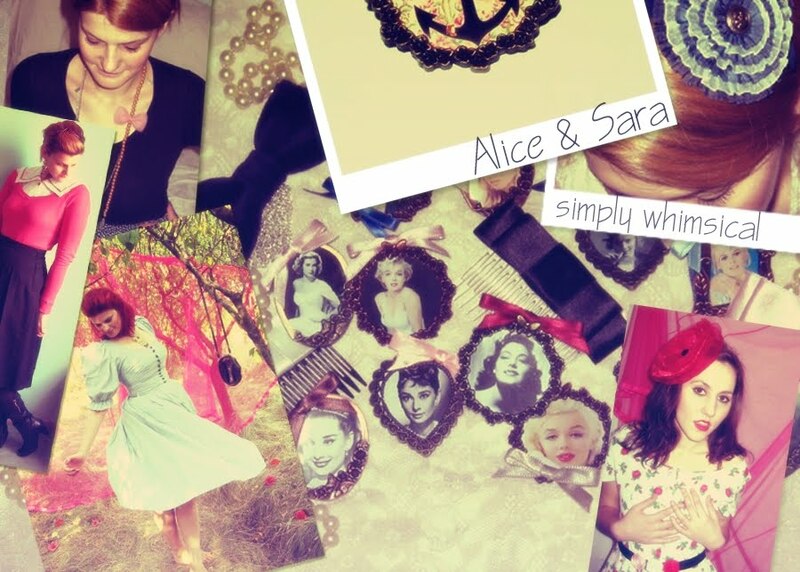 I love these, they are so delicate and beautiful! 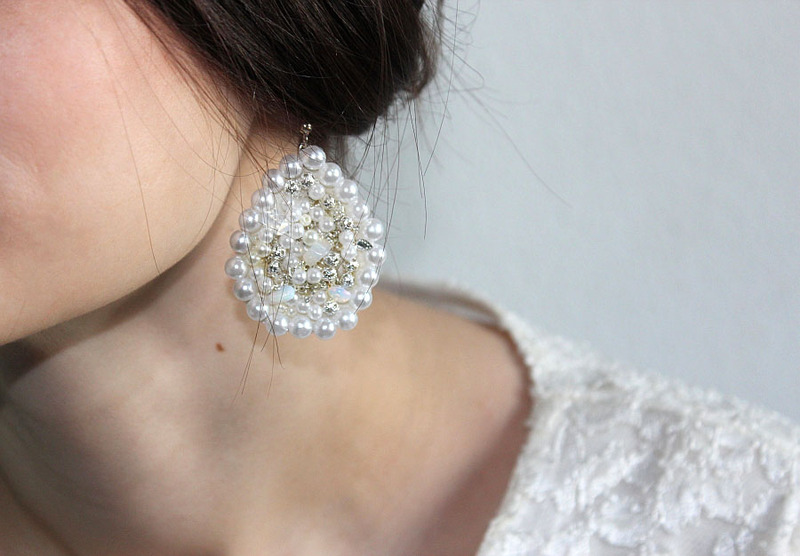 Sunt foarte eleganti si arata usori - I hate it when big earrings are so heavy that they dray your ear down..Not very appealing. These ones look stunning!